We've all got a mental image of our neighborhood mail collection box, right? 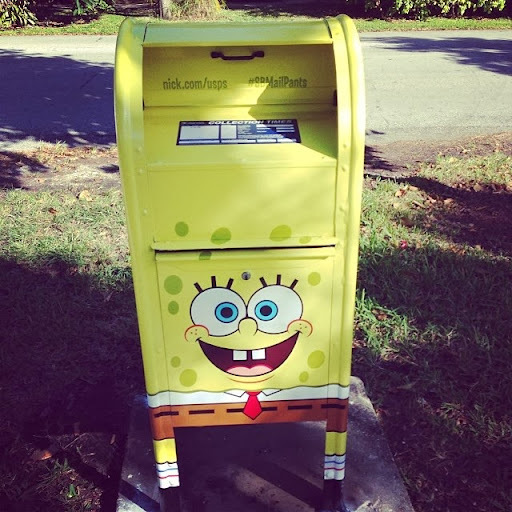 It's SpongeBob MailPants, but blue. In the old days, however, collection boxes looked different. 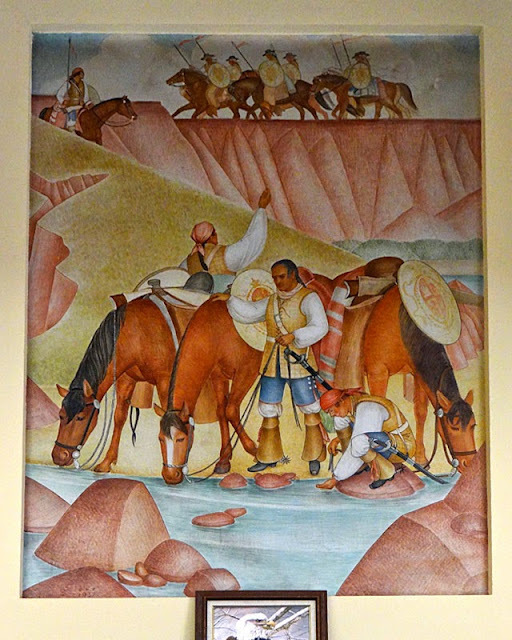 They were smaller, they were mounted on poles and walls, and they most certainly were not blue. 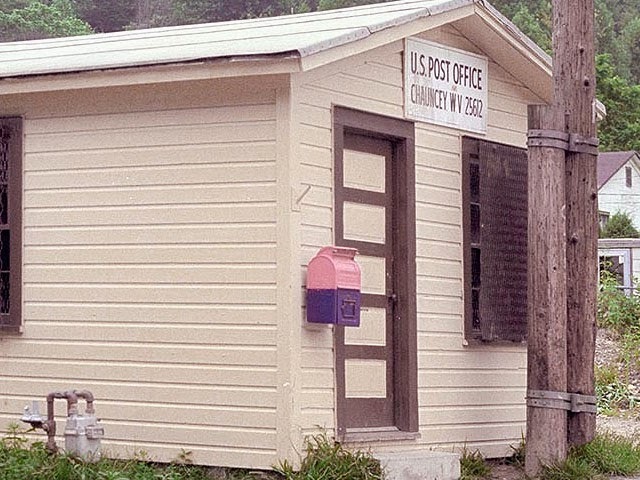 Some older collection box models remain in circulation; today you'll primarily find them in front of rural post offices and around scattered historic districts. These boxes have been around for decades, are seen by some as relics, and are slowly being phased out by the Postal Service due to the added capacity and wider mouth of 'standard' collection boxes. I found this pole-mounted box in the town of South Hill in southern Virginia last summer. The Postal Service was looking to remove the box shortly. 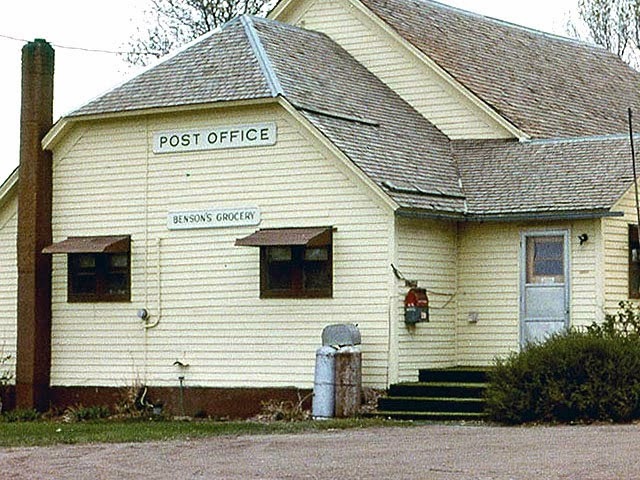 After the introduction of stamps, people wanted a more convenient place to drop-off their mail than [at] the post office. In the 1850s, the Post Office Department began installing collection mailboxes outside of post offices and on street corners in large cities. Collection boxes were initially mounted on lampposts. Albert Potts, a Philadelphia iron manufacturer, patented the first of these mailboxes on March 9, 1858 (patent number 19,578). The boxes were color-coded and were either red or green. 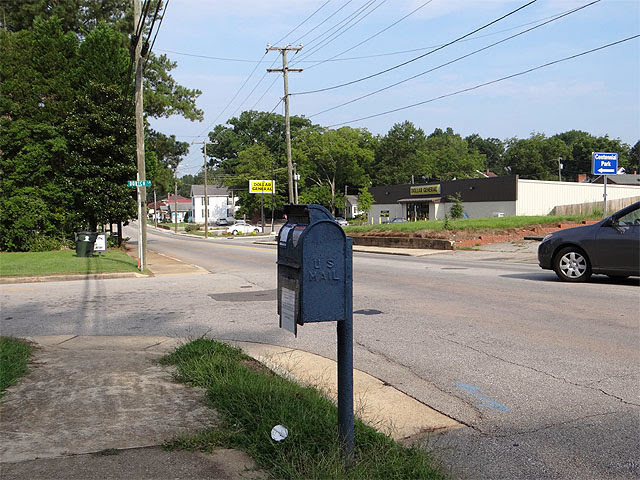 Residents considered the red boxes more convenient because mail was picked-up every hour, but the green boxes only had collections four to five times a day and twice on Sundays. Beginning in 1909, all mail collection boxes were painted a dark green to avoid confusion with emergency and fire equipment. 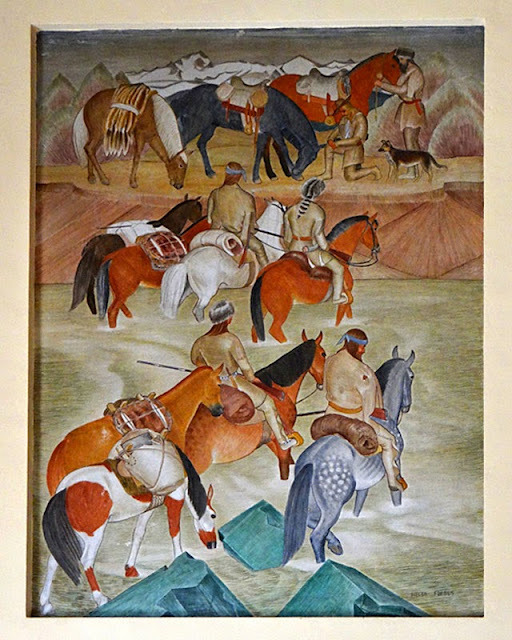 Dark green gave way to olive drab green after World War I, when the U.S. Army donated a large supply of olive drab green paint to the Post Office. 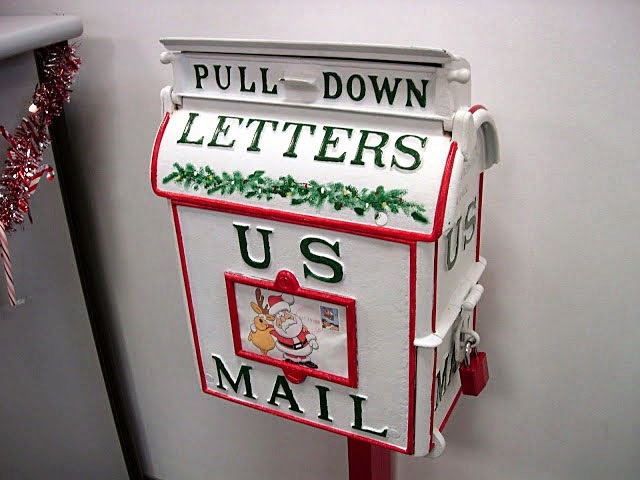 Olive drab green subsequently became the standard color for all U.S. mail collection boxes until 1955. 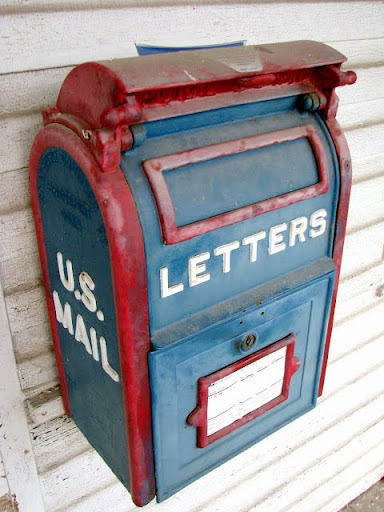 On July 4, 1955, Postmaster General Arthur Summerfield announced that the Post Office would begin painting all mail collection boxes in red, white, and blue to make them easily identifiable. The solid blue collection box theme we know today became the norm in 1971, when the U.S. 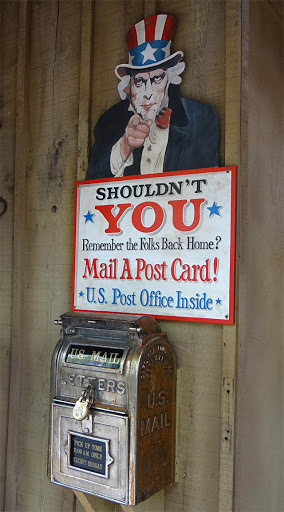 Postal Service as we know it was established as a result of the Postal Reorganization Act. 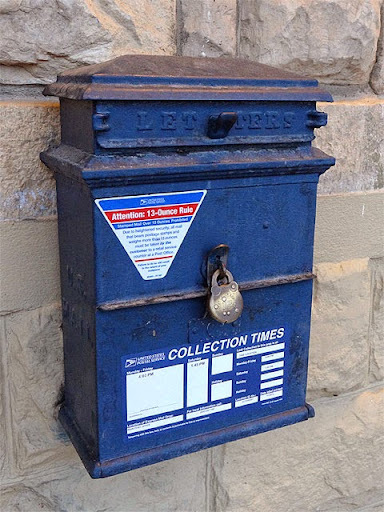 And despite my highlighting interesting exceptions here, the vast majority of old-style post boxes in use today are [Owens-style mailboxes that are], indeed, also solid blue. 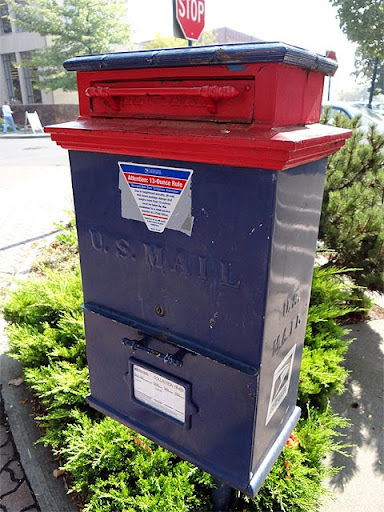 If you're interested in locating such old-style post boxes near you, USPS has hidden a little hint for you within its submissions to the Postal Regulatory Commission's for its 2013 [USPS] Annual Compliance Review. 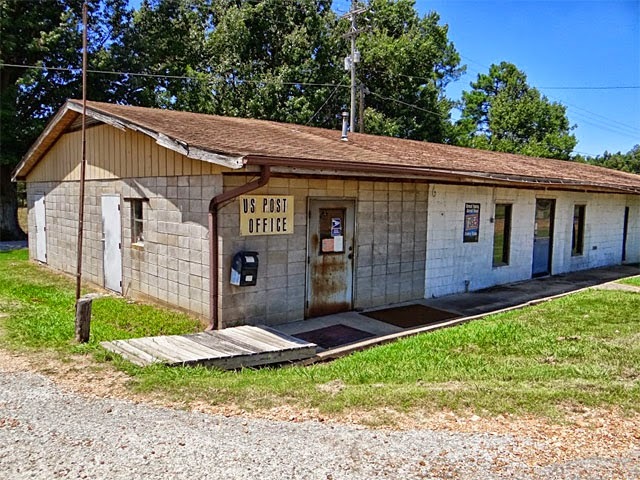 Since many databases that ordinarily could not be accessed except through FOIA requests are submitted as part of the public record, you can find all sorts of interesting data about our postal network. 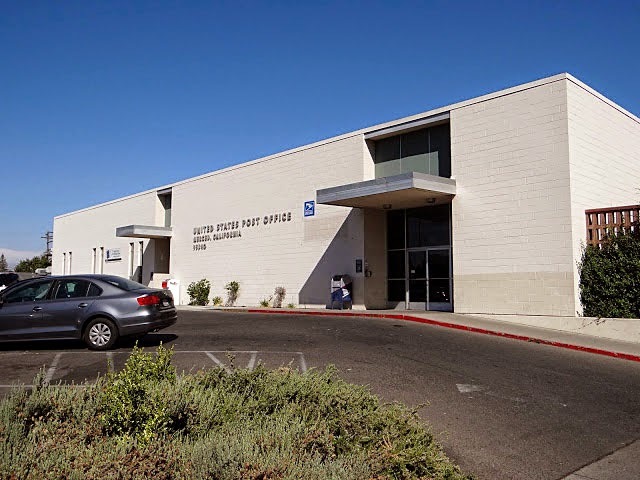 Two massive Excel files provide the locations of all mail collection points (such as blue boxes) and their attendant collection times across the United States. They can be found among the files posted here. You can organize and analyze the data as you see fit. Virtually all the existing post box examples of which I'm aware are categorized in these databases under TYPE "POST" and "WALL." I used filters within Excel to highlight just those collection points for this article. 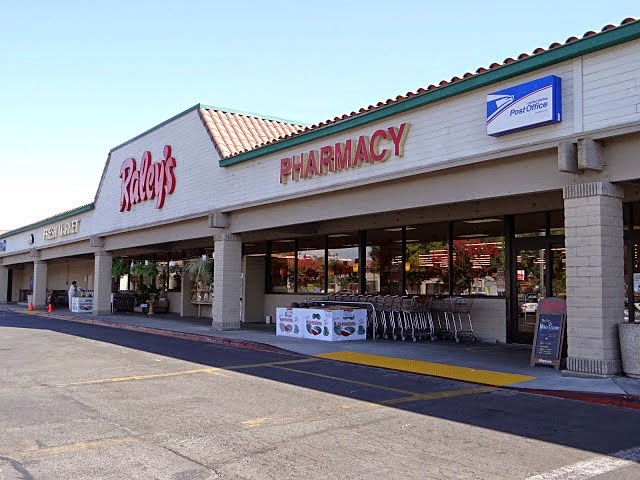 Here is a map of approximately 625 locations in question. The oldest post box I've seen was located in downtown Ellensburg, Washington, reputedly from 1905. 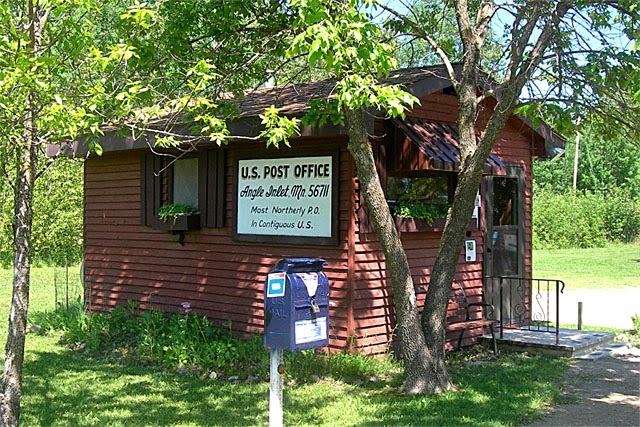 This old-style box is in front of the post office in Fort Meade, SD. 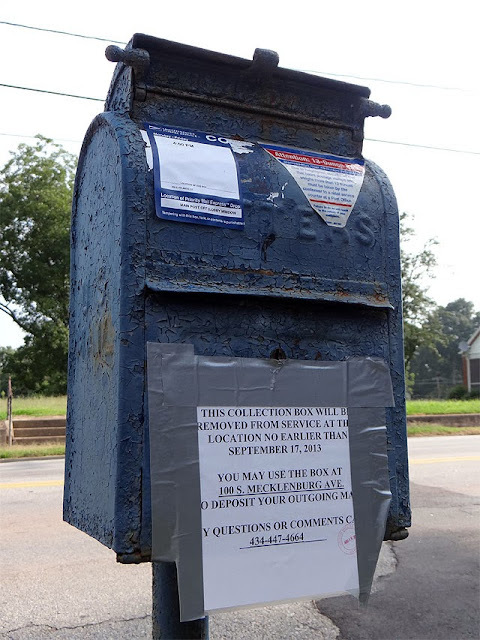 All styles of older post boxes are being slowly phased out by USPS. 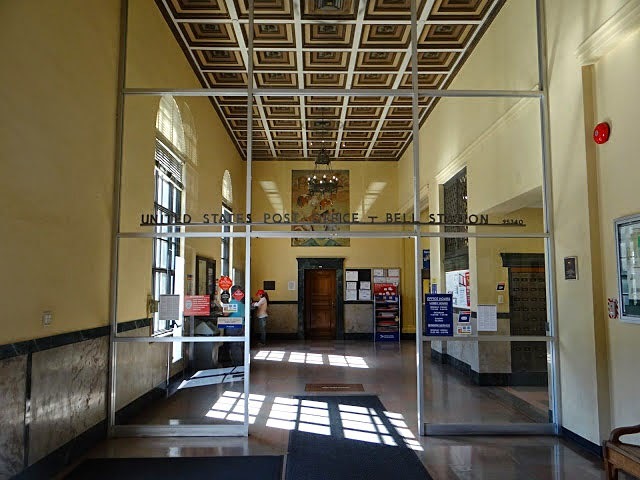 A USPS Delivery Operations specialist notes that "rust is a common enemy" for these boxes, and "there are no parts nor technicians available to repair these boxes if something happens." 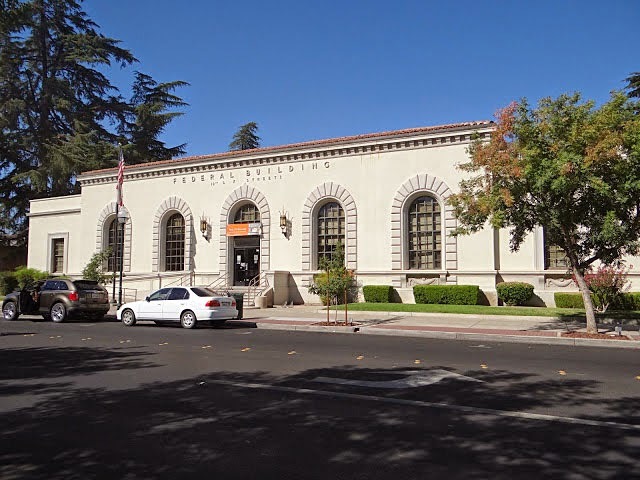 New standard (four-legged) collection boxes also enable the acceptance of larger flats and Priority envelopes, and so "[USPS does] not disappoint these customers when they arrive at a box" to deposit items larger than letter-sized mail. Hope you enjoyed your tour of this little neck of the postal woods!